In the last couple of years, there has been a lot of debate about Enterprise Architecture. What Enterprise Architects do, why it's important and how it is different from Solution Architecture (SA) are just some of the questions EA community became too familiar with. The difficulties in defining EA are partly due to the fact that EA is dealing in abstractions. EA need to look at the big picture in order to find the solution for the entire enterprise. Enterprise architects need to fill in the gaps between business and IT perspectives. That being said, EA's work is always evolving and it never ends. On the other hand, SA's work has a beginning, middle, and end. 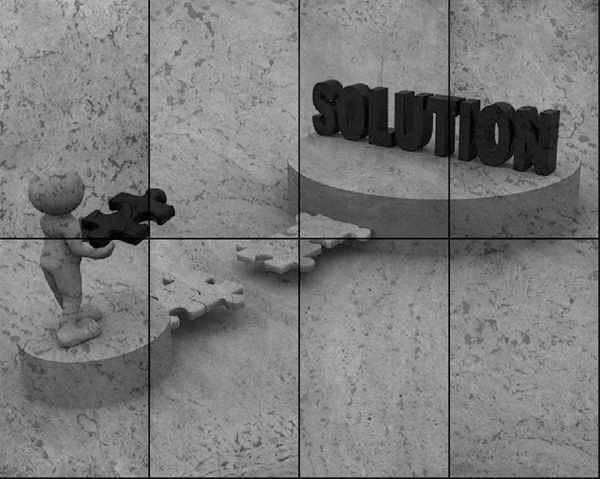 While Solution Architecture is often regarded as the practical and important for business development, EA remains misunderstood and depicted as an isolated part of the business with little contact with real problems and development opportunities. However, it is not really hard to understand how and where EA can provide value. Standardization, innovation implementation, and reduction of IT costs with enterprise architecture software implementation can help the business grow. The question is - how to do it? Well, the "how" part is exactly where Solution Architecture steps in. It is clear that EA and SA are supposed to work together in order to build effective architecture and maximize benefits. Big companies need the both roles if they are planning to get things done. Below is the explanation of the roles of SA and EA. SA is used to guide the organization and design of the software solutions and ensure technical consistency and integrity of the solution in every stage of the process. SA usually spend most of their time coordinating technical aspects of the initiative - from concept definition, analysis of requirements and implementation, to regular maintenance. This implies that SA has to be able to contribute to all of these activities. EA is used to connect business to IT. It has a broad knowledge about enterprise architecture software, platforms, methods and processes in business as well as IT. EA is mainly used to describe the relationships within the enterprise as well as relationships of enterprise and external environment. Besides that, EA is also responsible for choosing the best technology (which doesn't always mean the newest) that fits well to the team and provides the solution at the same time and making many other strategical decisions. For that reason, Enterprise Architect should be the right arm of the C-level officers when it comes to defining development strategy of the business. We hope that the difference between EA and SA is a bit clearer now. - EA: Sees how to fit the solution into the business. - SA: Designs solution, chooses technology, platform, etc. Enterprise Architects and Solution Architects have very different purposes. EA is there to find out how to leverage technology and SA governs the creation of the solution itself. They complement each other and should work together in order to provide the best possible results.